Newcastle United chiefs are set to hold a transfer summit meeting this weekend, as the club await manager Rafael Benitez's decision on his future. The crunch meeting is set to take place at St. James Park, and will involve discussion regarding the summer transfer window. Benitez will be in attendance alongside managing director Lee Charnley, head of recruitment Steve Nickson, European scout Paul Baker and senior scout Mick Tait. The conference, as reported by ​The Chronicle, will include dialogue on talents spotted on scouting missions over the winter period from all around Europe, including Spain, Belgium, France, Italy and Holland. ​T​he Magpies have particularly been linked with Hoffenheim's Brazilian attacker Joelinton, while a more concrete list of targets is set to be decided. Changes to the club's academy are also expected to be debated, with three major alterations anticipated - a new Under-23s boss will be appointed, as well as a loan manager and a new coach for the younger age groups. 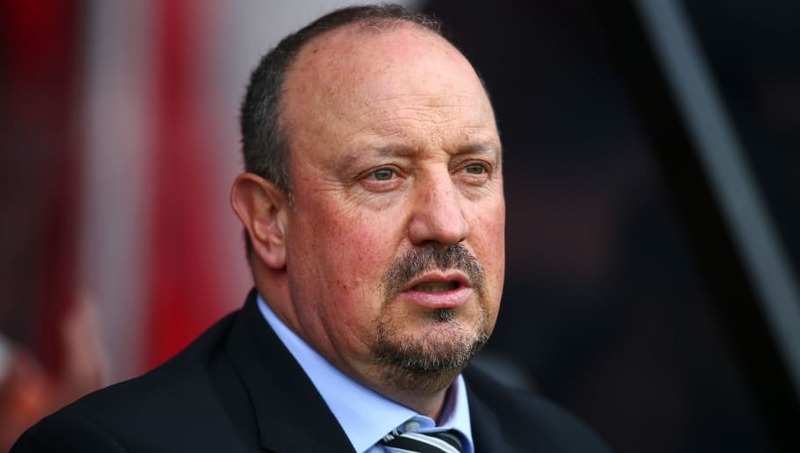 With these serious discussions, talk of Benitez's future is bound to arise, with Newcastle chiefs hoping to tie the Spaniard to a new deal and have him oversee a long-term overhaul of the club. The 58-year-old is entering the final months of his contract, but has refused to address his future until the Magpies are safe from relegation. This meeting comes shortly after news broke that Benitez has allegedly enlisted an agency to help him find a managerial position in Ligue 1. L'Equipe report claims that Benitez and his lawyer Richard Green met employees from Score Agencies in Manchester on March 6, and he has since agreed to sign with the agency for six months. However, the report has since been played down, with Benitez reputedly happy at Newcastle and hopeful of extending his stay at St. James' Park.